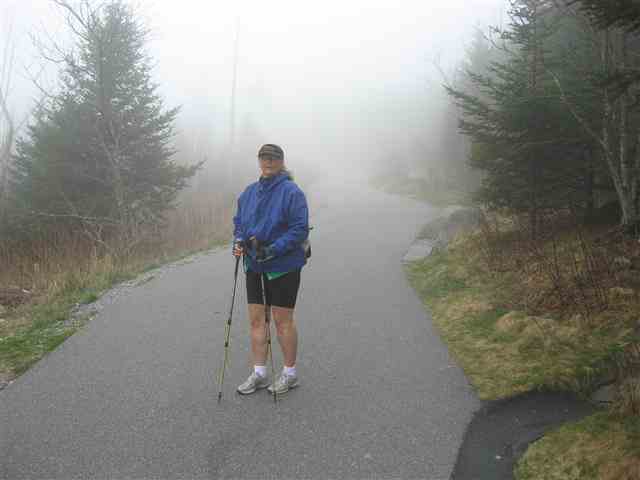 On 4/16 Judy started the Mountains to Sea Trail at Clingmans Dome in the Smokies. The trail is approximately 1000 miles long and ends at Jockey's Ridge State Park on the Outer Banks of North Carolina. 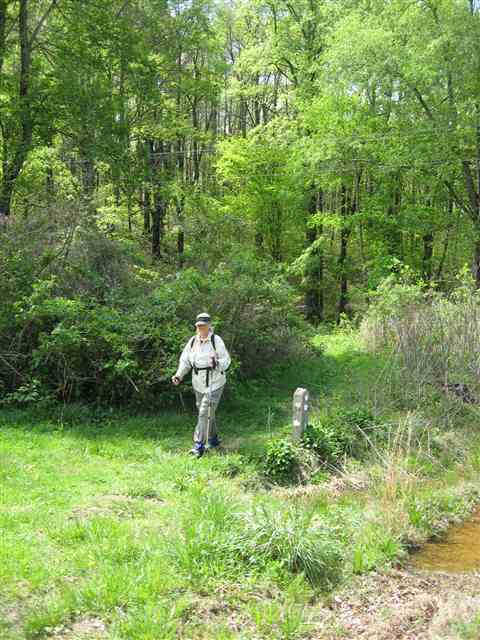 The first few miles are on the Appalachian Trail where she had hiked years ago. 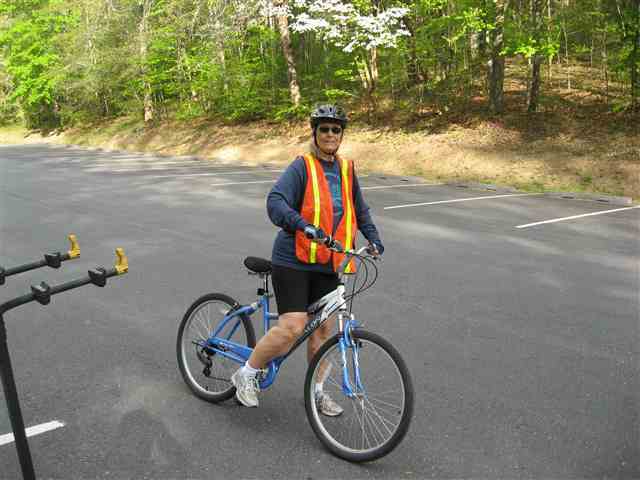 The next section is 22 miles to Mingus Mill in Cherokee, NC which she is skipping until the weather is warmer. 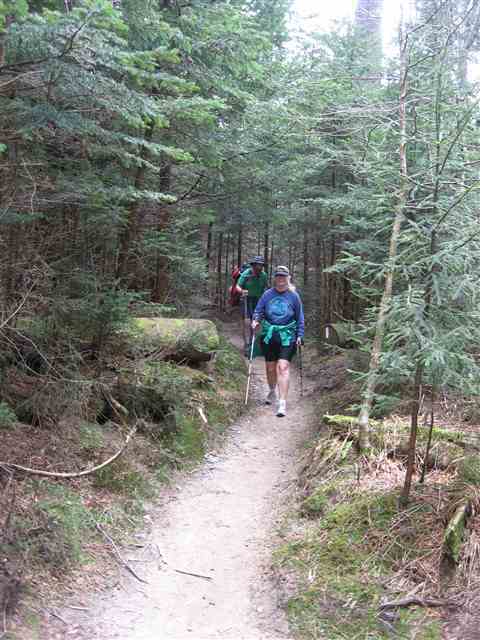 That way she will be able to carry a smaller pack for the overnight stay on the trail. 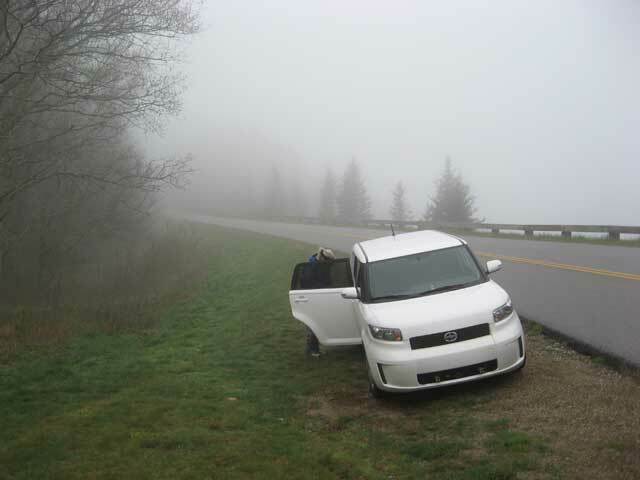 The trail from Mingus Mill to Balsam Gap has been rerouted onto Rte.441 because of the danger of walking through the tunnels on the Blue Ridge Parkway. Since this is a busy 4 lane highway she decided to bike it. 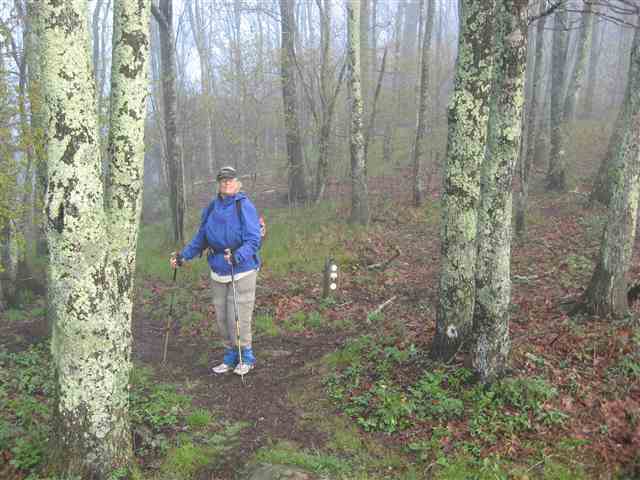 Every morning we would leave the campground and drive to the trailhead on the Blue Ridge Parkway. Every morning it would also be foggy up on the ridge. Driving in the fog along with me not liking heights anyway was "fun"! !